Sacajawea Elementary School, home of the Trail Blazers, is in a mid-sized city setting, located in the county of Benton, City of Richland, Washington state. The city of Richland is located on the mighty Columbia River and is home to different water activities like fishing, kayaking, rafting, and water skiing. Golf is also a popular sport in this city because of its climate. The school was named after a Shoshone Indian princess who lived in the Rocky Mountains to the Plains. 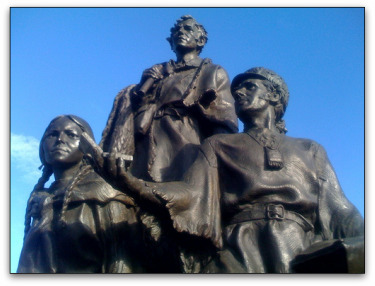 In 1805 to 1806, as the only Native American woman, she served as an interpreter and guide to the Lewis and Clark Expedition. Operated by the Richland School District education agency, categorized as a Primary School, Sacajawea Elementary School offers Kindergarten to Fifth Grade to an approximate student population of 400. With 23 teachers, it makes up the student-teacher ratio of 17 students for every teacher. The Richland School District caters to Richland City and West Richland City. In Washington State, educators, parents, and the community members have been working together and discussing ways to create higher academic standards and in 1993, Essential Academic Learning Requirements or EALR was created. EALR’s focus is on the eight academic subjects of Reading, Writing, Mathematics, Communication, Science, Arts, Social Studies, and Health and Fitness because these are the subjects where academic success begins. To find out if the students are achieving the EALR, students will be tested using the Washington Assessment of Student Learning. In order to measure the progress of the students in reading, teachers use the Developmental Reading Assessment and Running Records. This is done several times in a school year by listening to the students read on a one on one level with the teachers. After the assessment, students work with the teachers to improve their reading skills. This is done to make sure that all students of Sacajawea experience the gift of literacy. Every January, Kindergarten Readiness Program is being offered by the Richland School District in all elementary schools for four year old children or those who will be entering kindergarten. Parents are also encouraged to attend. Parent involvement in their children’s education is very important. Research shows that the more involved the parents are, the more the students are likely to be successful. By helping them with their homework, by attending school activities and meetings, by reading to and with them will result in a child’s positive behavior in learning. The mission of Sacajawea Elementary School is to provide quality education to all the students in a safe and caring environment where they learn to be respectful, responsible, and resourceful.